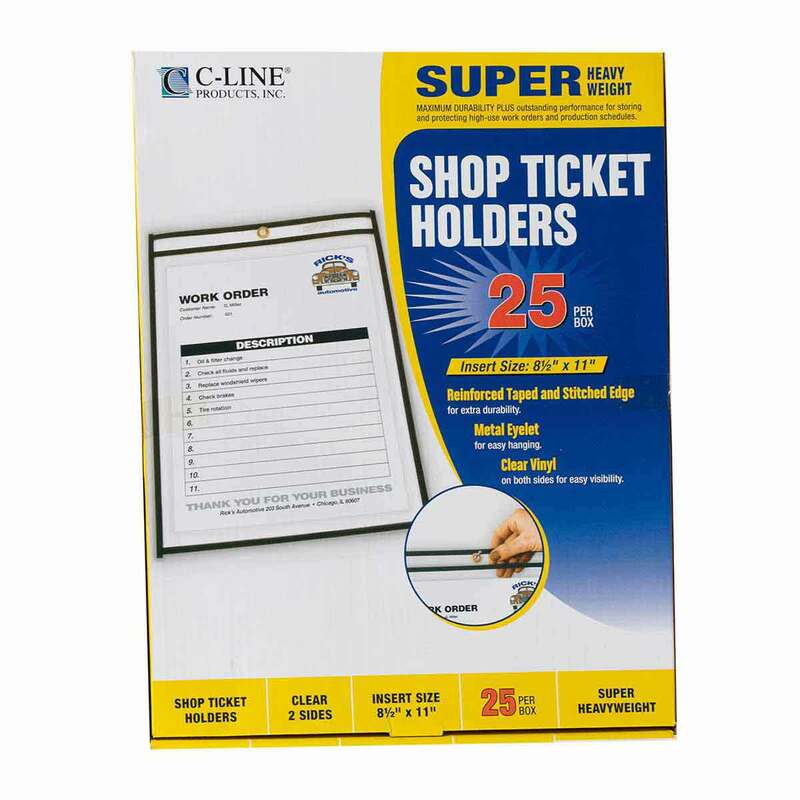 C-Line Shop Ticket Holders Box of 25 8.5" x 11"
These super heavy weight shop ticket holders have reinforced taped and stitched edge for extra durability and an metal eyelet for easy hanging. Each box contains 25 holders that will hold an 8.5" x 11" insert. Perfect for kennels, groomers and vets.